What can be more fun on your birthday than a gigantic Birthday Cake Bounce? This festive bounce is suitable for those under 200 pounds. Dimensions are 15' x 15' x 18'h. 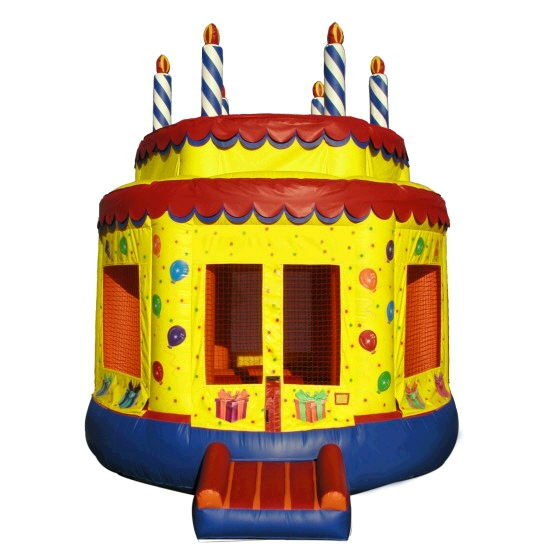 * Please call us for any questions on our birthday cake bounce rentals in Pipersville PA, Hatfield PA, and Bucks & Montgomery Counties in Pennsylvania.